I’m not usually one to cry sexist, but because I haven’t seen anyone else noticing, I’ll point it out: When President Obama tried to mock certain Republicans by saying they are unnecessarily afraid of “widows and orphans” among the Syrian refugees being or becoming terrorists, he was infantiling adult women by comparing their capacity to act to that of children. Indeed, the President was clearly saying female refugees are not capable of being dangerous. Unlike males, the president was implying, they cannot be or become terrorists. At least, they can’t if their husband dies. This is obviously stupid, but that’s what the President said, and it’s revealing of his thought processes that it did not strike him as stupid before he said it. I’m not aware that the White House has offered any clarifications or apologies. But what do I know? I’m only a woman. Maybe I’m too stupid to realize I’m incapable of committing a terrorist act. 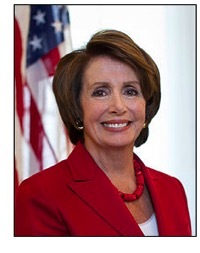 Using the President’s thought process, I suppose we can ignore that Nancy Pelosi said something similar today (although she referred to “mothers” being safe, so possibly she believes we only become childlike and/or inept after we breed). She’s only a woman, too. With five children. Note: This post was edited as I wrote “women” in place of “widows” erroneously in one spot. Apparently I AM incompetent!